Here are the results for the following two competitions. Well done Suko, an email is heading your way for your address, so I can post your book. 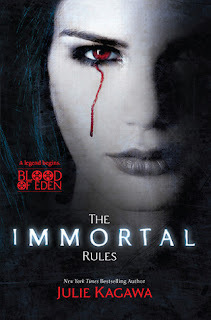 The winner of The Immortal Rules by Julie Kagawa was chosen by Rafflecopter. Well done somithee, an email is being sent directly to you for your address details. Keep checking back as there will be more competitions and more results as the week progresses.